Sams24-7.com is a division of Sam's Caribbean Marketplace, Inc, a Long Island, New York, corporation. Sam's is now located at 225 Hempstead Turnpike, West Hempstead, NY 11552, USA. Our telephone number is (516)858-0054. On December 11, 2011, Sam's Caribbean Marketplace celebrated it's 18th anniversary. Over those years, Sam's Caribbean Marketplace has set the standard by which Caribbean stores are measured, primarily because we make a conscious effort to treat our customers with the respect and dignity they deserve. Sam's Caribbean Marketplace offers a wide variety of Caribbean foods from ackees to yams, Caribbean cookbooks loaded with recipes of traditional as well as novel Caribbean foods, and an extensive collection of reggae, calypso, and Caribbean gospel CDs. 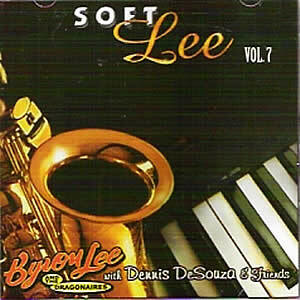 We also stock Caribbean DVDs, Caribbean flags, and hundreds of other Caribbean novelties. As you browse Sams24-7.com, you will quickly notice that many of these items are not yet available on-line. However, we are working to ensure their availability in the quickest possible time. As you might guess, Sams24-7.com will be growing extensively over the next few years. We at Sam's have proudly served over 1.7 million customers throughout the years, and we have done so with a high degree of honesty, integrity, and reliability. Our mission at Sam's is to guarantee the satisfaction of every customer by offering the highest quality products at the lowest possible prices, and standing behind everything we sell. "The strategy helps [Sam's Caribbean Marketplace] cater to specific tastes, such as those of customer Cecile Wong. 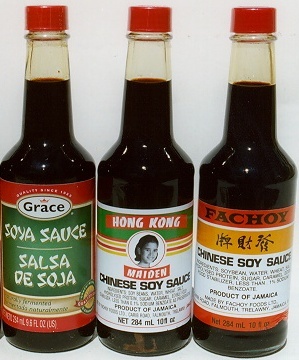 Ms. Wong, who is of Jamaican-Chinese descent, eagerly picked up a bottle of Jamaican Chinese soy sauce one recent afternoon. 'I find this store has the most variety that is Jamaican and Chinese,' she says approvingly. Meanwhile, some half-dozen non-Caribbean customers a day stroll in looking for particular jerk sauces for barbecues." Jamaican comedian Oliver Samuels and some young friends sample Pure Bulk Syrup at Sam's Caribbean Marketplace. Click picture for more photos of Oliver Samuels at Sam's Caribbean Marketplace in Hempstead. "Located in Hempstead, Long Island, Sam's is an island oasis of delectable edibles and other goods representative of the entire Caribbean Basin. The market's impressive inventory includes Blue Mountain coffee, curries...jerk seasoning, Scotch bonnet peppers, breadfruits.... Ferrol Compound, cod liver oil and a host of childhood and homeopathic remedies. "...loyal customers also come from Brooklyn and Queens or travel from as far away as Riverhead, Long Island, which is 60 miles to the east. Customers comment on the 'everything under the sun' inventory at Sam's and mention the friendly and efficient attitude of the staff." "Sam's Caribbean Marketplace...caters to some 10,000 customers a month of all ethnic groups. Customers drive as long as an hour to sample several dozen types of hot sauces, canned products, curry brands, reggae music and even cookbooks." "Go around the back, and there in the parking lot is a bright, airy and friendly store that stocks items imported from a number of islands, especially Jamaica and Dominica. "[Sam's Caribbean Marketplace] is definitely worth seeking out when you want a selection of hot pepper sauces, jerk seasonings, spices like cinnamon leaves, tropical fruit concentrates and drinks, and some unusually tasty preserves...."
The first time we tried to go to Sam's Caribbean Marketplace, at 43D Main St.. in Hempstead, we couldn't find it. That's because the 2-month-old, 1,600-square-foot market is entered from the parking lot. But we were glad when we finally found a store stocked with ethnic foods, such as guava jelly and passion fruit jams, hot pepper sauces, juice concentrates made from guava, tamarind, passion fruit and key limes. There are Caribbean spices, sauces and HTB buns flown in from Jamaica weekly. Our aim for this web site, sams24-7.com, is quite ambitious--but we love challenges. Sams24-7.com wants to be the only site you'll ever need when you're purchasing Caribbean foods, Caribbean music, Caribbean DVDs--anything Caribbean. We've launched the site with a few hundred Caribbean products, just to get off the ground. But every week we'll be adding dozens of new merchandise. We hope you find the site user friendly and the products easy to locate. Please familiarize yourself with its many features, and make use of our powerful "advance search" capability. Please keep coming back--and tell your friends about us: sams24-7.com and Sam's Caribbean Marketplace. When you think caribbean food and other Caribbean products, think Sam's.